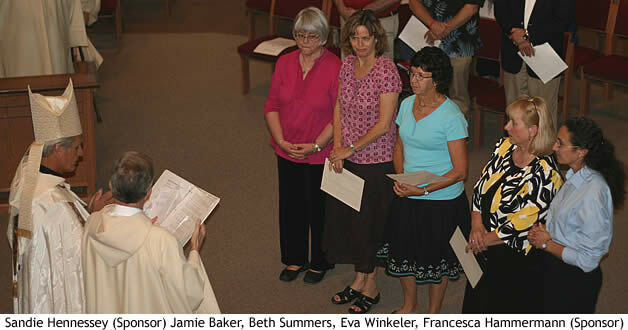 During Vespers after a recent Benedictine Oblate meeting Jamie Backer, Beth Summers, and Eva Winkeler made their oblation after a one-year novitiate. 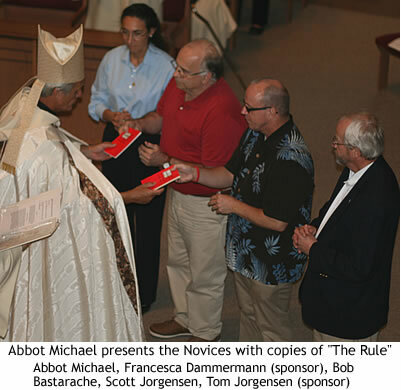 Also during Vespers Bob Bastarache and Scott Jorgensen were inducted as Oblate novices. Additionally Peg Marshall will start the novitiate but was unable to attend due to having to work. During their year of novitiate they will be instructed in the Rule and Benedictine Spirituality. A reception was held in the monastery afterwards for the Oblates and their guests.